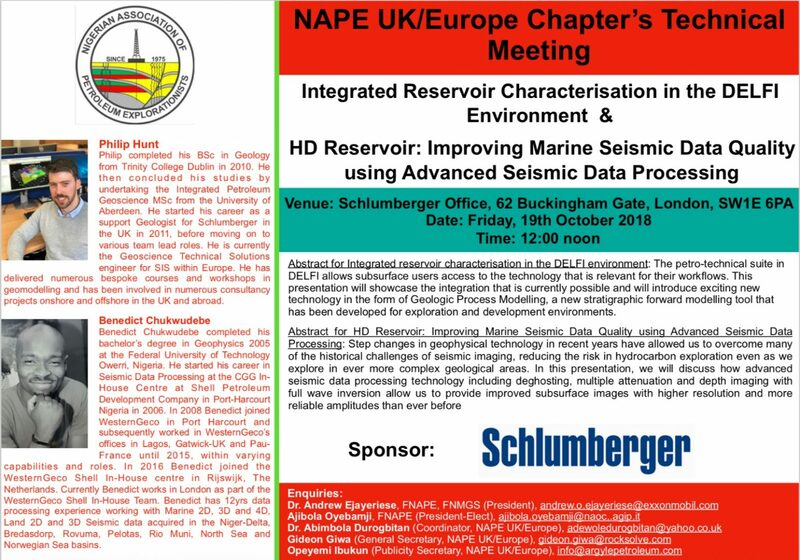 The NAPE UK/Europe Chapter September Technical Meeting was held on Friday 14th September 2018. The venue was Newton, Hubble and Galileo Rooms combined 9th floor, Nova South, 160 Victoria Street, London, SW1E 5LB. The Speaker was Dr. Abiola Abimbola. 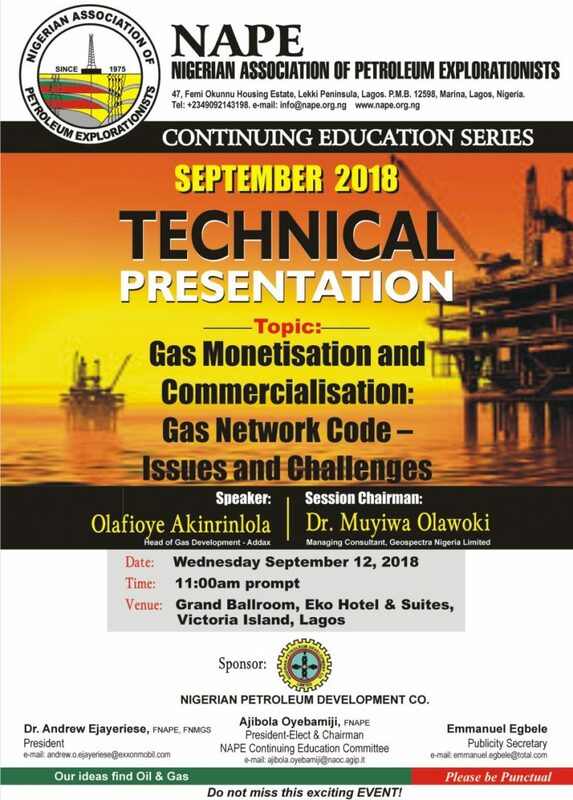 The Lagos September Technical/Business meeting was held on Wednesday, September 12, 2018 at the Grand Ballroom, Eko Hotel & Suites, Victoria Island Lagos. The Speaker of the well attended meeting was Mr. Olafioye Akinrinlola. 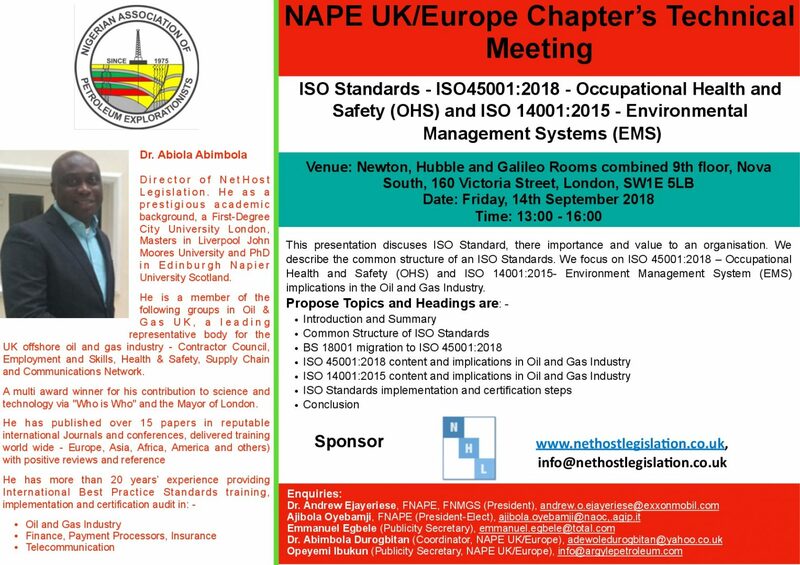 For the Meeting Presentation, Click Here. For the Meeting Pictures, Click Here. 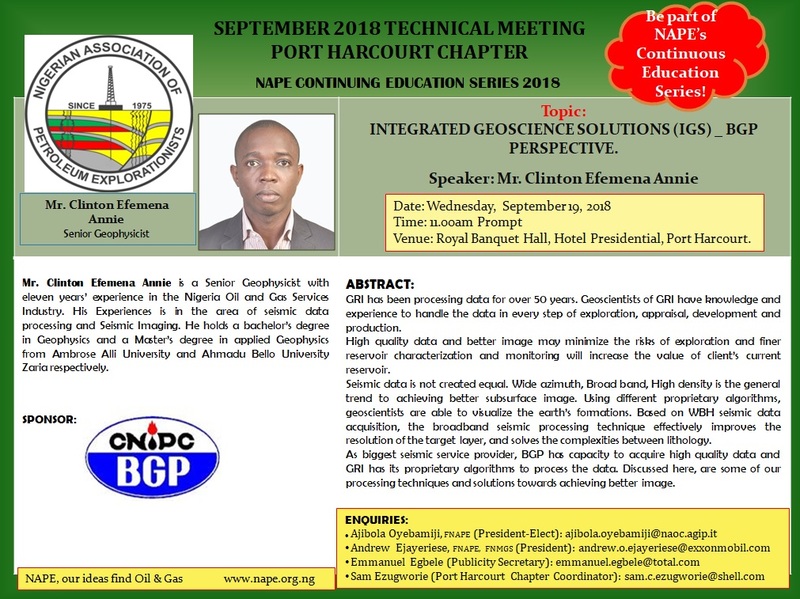 The Port Harcourt Chapter September Technical/Business meeting was held on Wednesday September 19th, 2018 at the Royal Banquet Hall, Hotel Presidential, Port Harcourt. The Speaker was Mr. Clinton Efemena Annie. 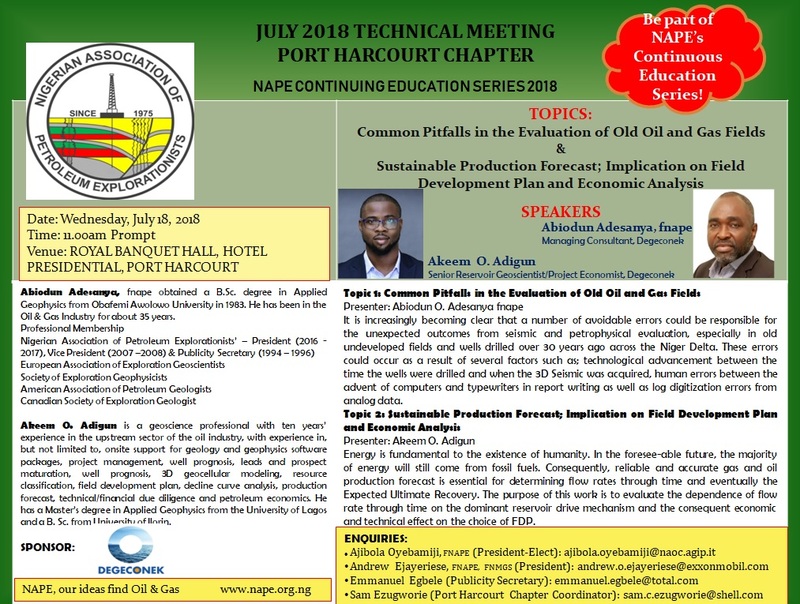 The Port Harcourt Chapter July Technical/Business meeting was held Wednesday July 18, 2018 at the Royal Banquet Hall, Hotel Presidential, Port Harcourt. The speakers were Mr. Abiodun Adesanya fnape and Mr. Akeem O. Adigun. The meeting was sponsored by Degeconek. 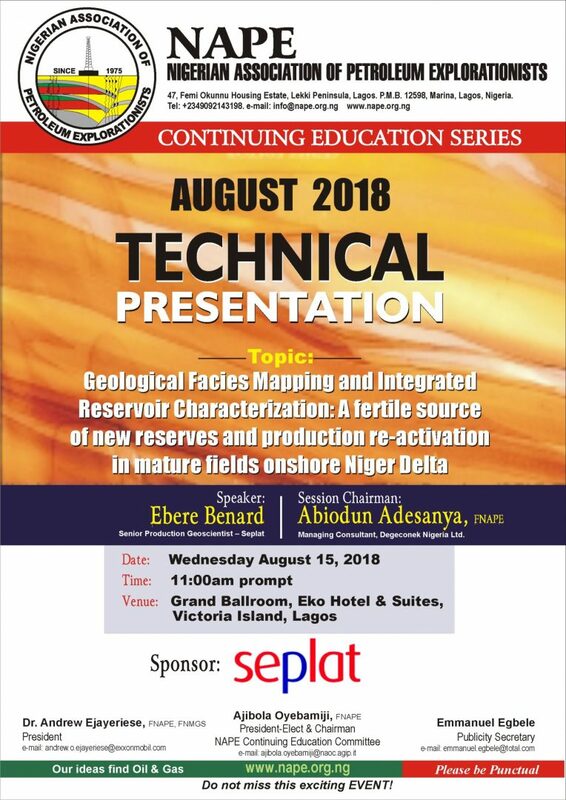 The Lagos August Technical/Business meeting was held Wednesday August 15th, 2018 at the Grand Ballroom of Eko Hotels & Suites, Victoria Island, Lagos. The well attended meeting was sponsored by Seplat and the speaker was Ebere Benard.